UPDATE: At 5:30 p.m. Friday, police said Meyer had been found alive in Greene County, with her car. No other details were immediately released. Linda Meyer, 56 was last seen at the Wiggy’s, her family-owned restaurant in Scott Township, Pennsylvania around 7:15 p.m. on Wednesday. Her cell phone was traced to Liberty Borough around 9:47 p.m., Wednesday and it was powered down at 12:19 p.m. on Thursday. 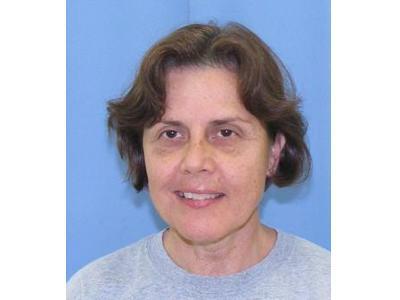 Linda drives a white 2010 Chevrolet Malibu with plates ERY-2683. Many of Linda’s friend’s and customers are concerned about here. “My family goes to Wiggys wed and sat for wings and fries, she was there all the time and so happy, I saw her here at Heidelberg Walmart weeks ago and I said, ‘hey kids, look its Mrs Wiggy,’ and she laughed and said, ‘I get that a lot,’ lol….she is so nice, always treats us good…..hoping they find out where she went soon…..♥ prayers***,” said Kelly Petrosky. If you have any information about her whereabouts, please call the Scott Township police at 412-276-7725.